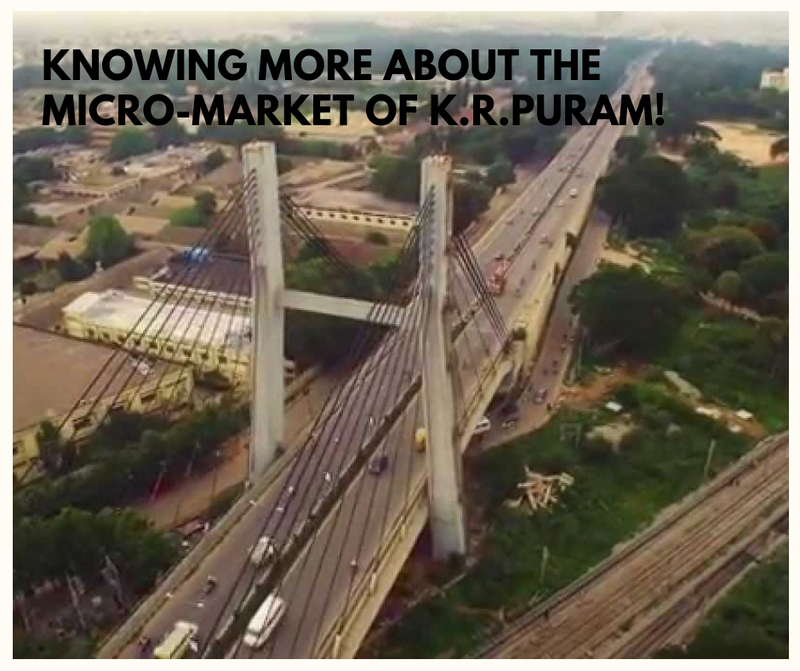 Knowing more about the micro-market of K.R. Puram! Located in the north-eastern part of the megacity of Bangalore is the fast-developing locality of Krishnarajapuram also known as KR Puram. It is surrounded by the prominent localities of Whitefield, Mahadevapuram and Narayanapuram and is served by major arterial roads, National Highway 4, State Highway 35 and Outer Ring Road (ORR). The region is close to city railway station, Kempegowda International Airport and is well-connected to the surrounding areas by BMTC buses, metro network and other public transports. The large assortment of world class healthcare facilities and education system makes it a popular residential destination among families. A number of prominent hotels like Ankit Vista Green Village and well-known malls like Phoenix Market city increase its value. The region is a hub of affordable properties and investors are attracted towards its commercial and residential prospects. Presently the region is prone to traffic jams, irregular water supply and garbage clearance, along with pothole ridden roads, etc. These problems are being tackled by several planned and ongoing projects in the area. These proposed projects and the robust growth of the city of Bangalore has aided the capital growth of this micro market. Timely investment in the region has great prospects of high returns. The proposed Phase 2 of the Peripheral Ring road connecting Tumkur Road, Bellary Road, Old Madras Road, Sarjapur Road and Hosur Road promises easy commute to and from the surrounding regions. Several well-recognised real-estate developers like, Sobha Group, etc. have shown interest in the region and investors can now buy quality homes ranging from small plots, affordable apartments to lavish villas. Buying a home in the locality of KR Puram can bring you robust growth and luxurious green living experience.The surrounding commercial hubs also makes this region a hub for rental properties. With the extension of metro network into the depth of this region the prices of property are expected to climb by around 20 to 30 percent. Sobha Group is developing an outstanding property at Hosa Road, Bangalore. The property, Sobha Silicon Oasis aims to become a tropical retreat from the chaotic city life of Bangalore. Sprawling over 15.19 acres of prime land this property offers you keenly designed expansive 2 and 3 BHK apartments. The area covered by these units range from 1365.89 sq.ft. to 2945 sq.ft. and the prices of these apartments range from 80.50 lakhs to 3.21 crores. Residents of these apartments are benefitted by several inhouse amenities such as, clubhouse, meditation centre, swimming pool, gym, car parking, day care centre, theatre, multipurpose hall, 3-tier security, kabana, and more. The estate is equipped several eco-friendly features such as, rainwater harvesting, sewage treatment plant, green landscaped gardens, etc. Provision have been made for top-quality furnishings in each apartment along with facilities of, constant water supply, power backup, and more. Developers have provided several sports facilities and a separate kids’ play area in this gated community.